Dense, deep and dark, it could pass for a Gigondas or a Châteauneuf-du-Pape. This wine, and another wonderful bottling called La Croix, demonstrate the quality that can come from lesser-known regions in Provence and the Rhone Valley. Vintage 59/Country Vintner: Available in the District at A.M. Wine Shoppe; on the list at Bistro Francais. Available in Maryland at Silesia Liquors in Fort Washington. 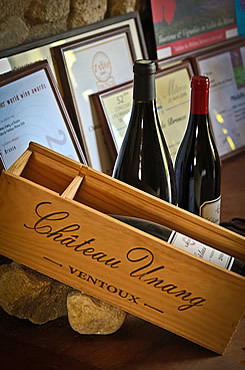 Available in Virginia at Out of Site Wines in Vienna, Slaters Market in Alexandria; on the list at Ashby Inn in Paris.